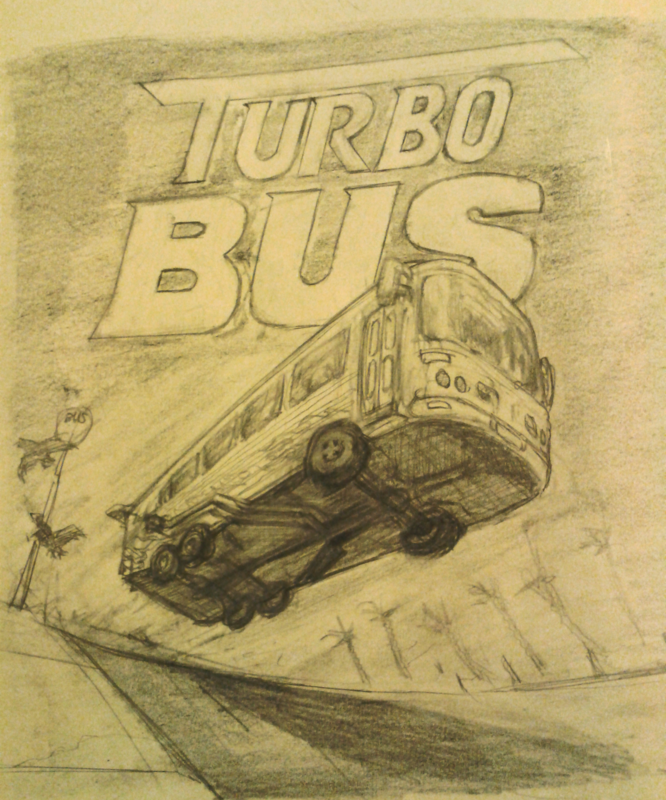 Cover art concept for TurboBus, a bus racing simulation game. This drawing was inspired by a friend. (No, my friend is not a speedy sentient bus!) She was playing Game Dev Tycoon and ‘TURBO BUS’ was a name she came up with for one of her Racing Simulation games. Unfortunately, it wasn’t very well received, but after a change of focus, it later went on to become a successful Comedy/Adventure series (shamelessly remixing action movie names). This is a sketch of what I imagine a cover for her original game may have looked like. Looking at it now it needs more flames & explosions.